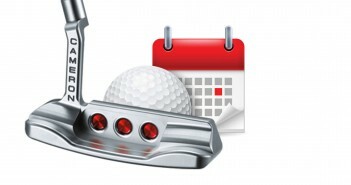 Putt like a Champion is the remarkable new putting game improvement system from Golf Loopy. Whether you are a total beginner who hopes to be great, a frustrated golfer who just needs the right help, or an accomplished putter looking for that extra edge, Putt like a Champion will arm you with all of the tools that you need to succeed. This is an easy to follow, structured plan for rapid and continuous improvement, that will produce consistently great performance on the greens. We guarantee that, no matter what your standard of play, from beginner to touring professional, you will learn how to build the skills, techniques, and confidence to break through your barriers and reach your golfing goals. You will significantly lower your scores, compete with greater consistency, and win tournaments. Putt like a Champion is the complete road map for putting improvement. We’ve used our many years of teaching and playing experience, the latest science, and thousands of hours of dedicated research, to determine the most effective putting techniques and the best way to learn them. The system has been tested on hundreds of students, at all levels of the game, and they have all enjoyed dramatic and lasting improvement. We believe that you have the potential to be great on the greens, and we know that you’re willing to work at your game. The problem is that you haven’t been properly taught how to practise in a way that will ensure your success. Putt like a Champion will help you to understand what you are trying to do and why, and it provides a clear series of steps to follow that you can trust to improve your game quickly. Based on the same processes employed by golfing champions, this is a complete blueprint for long-term sustainable putting improvement. The Putt like a Champion system isn’t complicated, far from it. It has one simple goal, to help you to get that little white ball in the hole more often. Putt like a Champion is a revolutionary feel-based system that includes comprehensive guidance on every aspect of putting technique – the grip, posture, alignment, club path, face angle, ball striking and tempo. All of the essentials you need to roll the ball well and roll it on line. We use straightforward, groundbreaking techniques that will enable you to quickly learn a simple, natural putting motion that will produce a stroke that is sure and repeatable, and then turn your new, silky-smooth putting stroke into an unconscious act, free from mechanical thoughts, instinctive, effortless and confident. We then walk you, step-by-step, through developing your green reading skills, your touch and feel, consistency, imagination and mental strength; using real-world techniques to develop good habits, eliminate mental barriers, and build your confidence to achieve lower scores and winning results. You will keep your practice better organised and effective by completing a practice session log and, if you wish, sending a copy to your dedicated Golf Loopy instructor after each session, this discipline and visibility will help you to stay focussed and accountable to the plan. You will see immediate results, and in just a few weeks you’ll learn how to accurately read putts and stroke them consistently into the hole, free from fear and doubt, and to perform under intense pressure. Other putting instruction leaves you just drifting from one tip, “quick fix” or drill to the next, without any structure or focus. This can leave you floundering, not knowing how best to spend your time, not knowing how to improve, and unable to rediscover your form when things go wrong. This is not the way that champions practise. 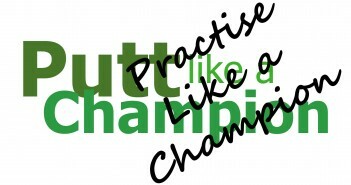 Putt like a Champion is different, it provides a structured plan that will maximise the return on your time. Even if you only have a few minutes to practise each week, you can be sure that every minute will make you a better putter. And if your performance level ever drops in the future, you’ll have a plan that you can rely on, a road map for self-coaching that will quickly get you back to your putt-draining best. 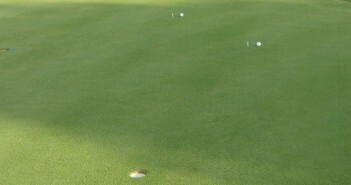 Putt like a Champion will make the difference between average scores and winning scores. If you really want to cure your putting woes once and for all, and to improve every aspect of your game, Putt like a Champion is the solution for you. This amazing system is only available to members. Join us now as a Player Member for immediate access to the full Putt like a Champion system, and we promise you a lifetime of better golf.